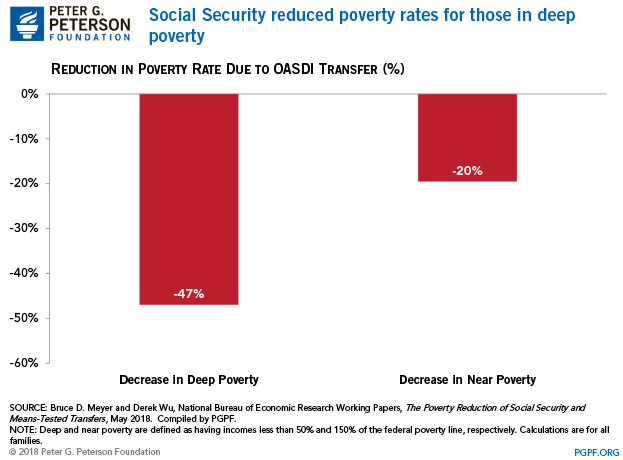 In a recent study, researchers from the University of Chicago estimated Social Security’s effects on poverty. Using detailed data from a variety of sources, the researchers conclude that the program is more effective at reducing poverty than previously believed. The findings underscore the importance of Social Security for older Americans, and include valuable insights about how beneficiaries at different income levels rely on the program. 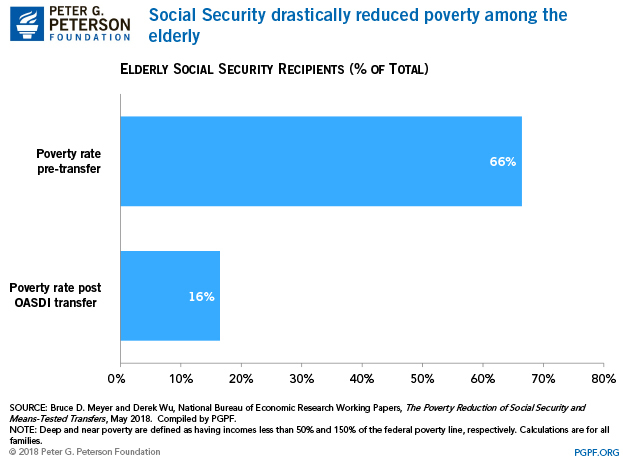 Social Security drastically reduced poverty for the elderly. Without income from Social Security, two thirds of the elderly would be considered poor. 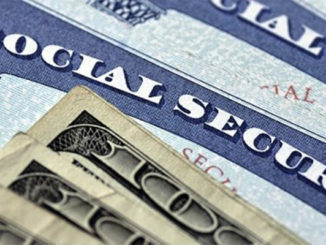 Social Security reduced the poverty rate to 16 percent in 2008. That finding aligns with previous research showing that nearly the entire decline in the poverty rate among the elderly since the 1960s is due to Social Security. 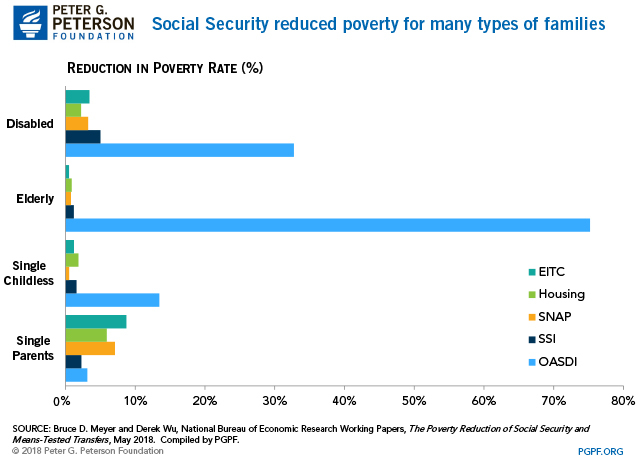 In fact, Social Security reduced poverty significantly across almost all family types. Social Security is by far the largest government transfer program based on the number of households reached as well as the average benefit paid out to recipients. Around 65 percent of the dollars dispersed by the program go to those who would be considered poor without the transfer payment. Retired workers account for the majority of the program’s recipients; however, 14 percent of beneficiaries are disabled workers and 17 percent are the survivors of deceased workers or spouses and children of retired workers. The researchers from the University of Chicago found that while Social Security reduced the rate of poverty among households with elderly residents by 75 percent, it also reduced poverty among households led by a disabled recipient by 33 percent. 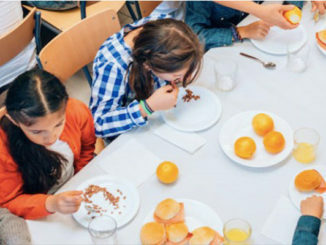 Those rates far exceeded reductions resulting from programs like the Earned Income Tax Credit (EITC), Housing Assistance, and the Supplemental Nutrition Assistance Program (SNAP). 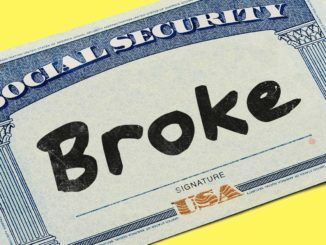 Social Security reduced the number of recipients in deep poverty, which is defined as half of the federal poverty line, by 47 percent. In addition, it reduced poverty for those whose incomes were near the poverty line, though its effect on those recipients was less dramatic. 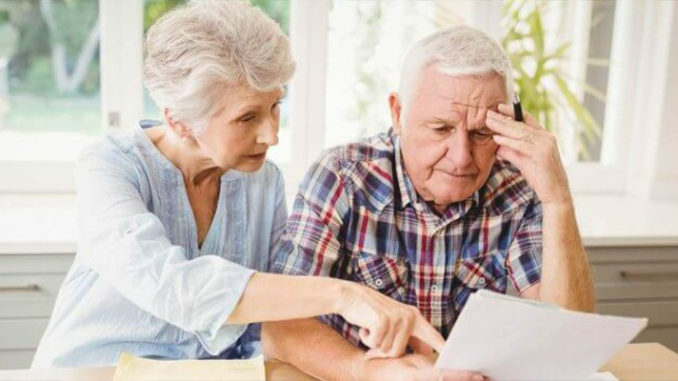 Social Security is a vital program serving millions of Americans, but it is on an unsustainable course due to demographic trends; without action from lawmakers, the program will be unable to pay out full benefits to retirees as early as 2034. Lawmakers should take action to shore up Social Security for the long term, so that this vital part of the safety net can continue to provide support, especially for those vulnerable Americans who rely upon it the most.